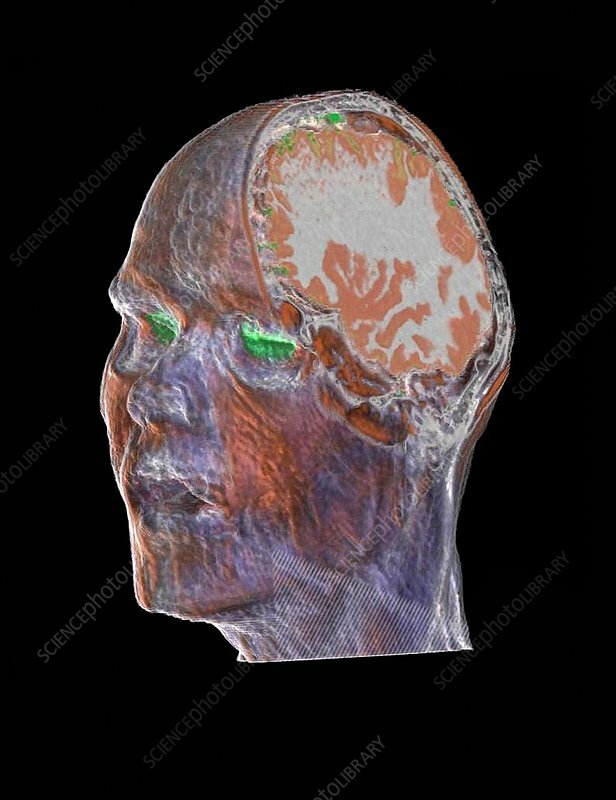 Human head and brain, computed tomography (CT) scan. The diagonal sectional slice has revealed the structure of the brain. The eyes are highlighted in green.